Need an engaging way to target articulation skills for those hard to motivate students? Give this a try! 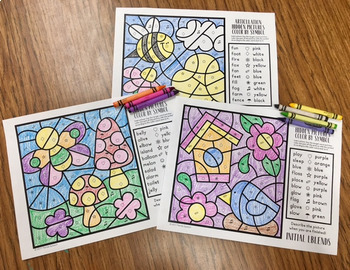 These fun pages are spring themed! 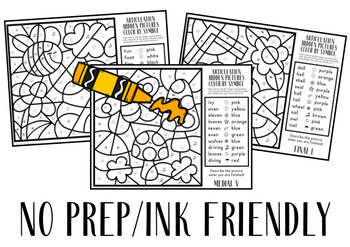 These pages were created for my older elementary students working later developing phonemes. They could also be used with middle school students! There are three different page designs! 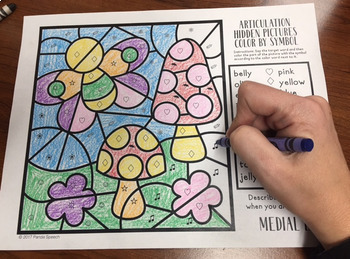 The students will color the picture by the symbols, revealing a spring themed picture while practicing articulation. Simple and easy! Plus it is ink friendly! Please note: these were designed in landscape (horizontal layout not vertical). Make sure you print in landscape (most printers will already detect it and print this way). Looking for more Spring products? 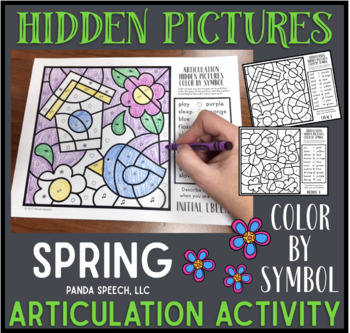 • SPRING Basic Concepts Coloring Books: NO PREP! Did you know that you can get TPT credits to put towards future purchases? All you have to do is leave feedback on the products you buy! Be the first to know about freebies, sales, and new products!